An awarding choice for customers, Armstrong’s Pryzm flooring is the flooring to have. With Pryzm, you get the natural look and feel of hardwood floors without the fear of everyday wear and tear. Let us dive deeper into this extraordinary product. Your lifestyle should not get in the way of having the floors of your dreams. With Pryzm floors, you can have the complete look and feel of hardwood floors with extra durability. With normal hardwood floors, you have to worry about scratches and your daily activities. But with Pryzm, you can live your normal day to day life! Pryzm floors can handle pets, children, heavy appliances, and even high heels! These floors are an amazing innovation for homeowners wanting beautiful floors and a normal life. 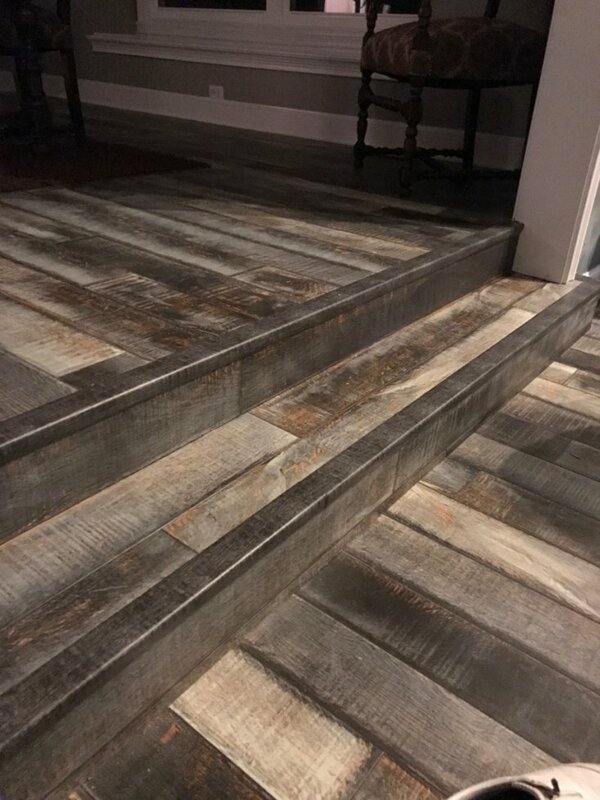 You may want to sit down for this one, but Pryzm floors are 100% waterproof. That is right, waterproof! Pryzm fights back against spills and stains making it the perfect choice for kitchens, bathrooms, and basements. You no longer have to worry about your floors swelling or buckling, because Pryzm has you covered. Not only are Pryzm floors extremely functional, but they are also stylish. They provide the beautiful look of hardwood floors and they are available in a wide selection of styles and colors. With Pryzm floors, you can have breathtaking floors with high-performing qualities. 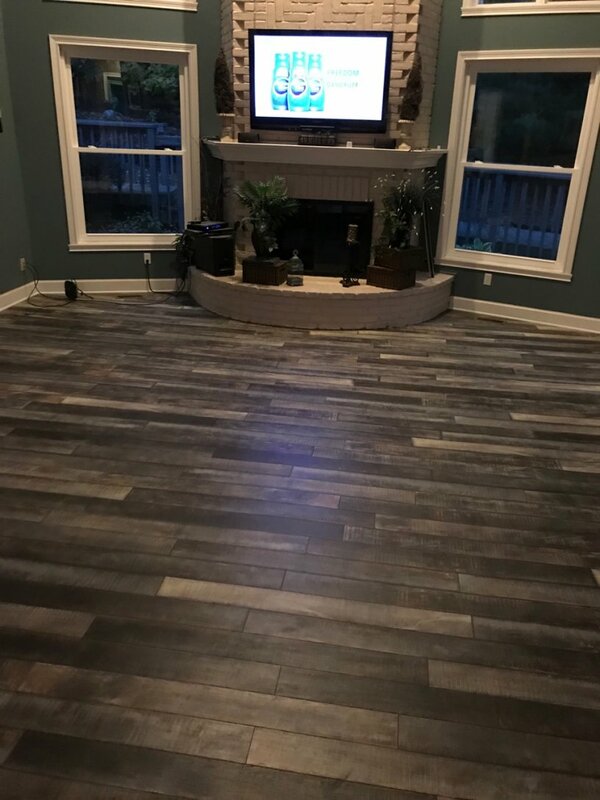 Installation of Pryzm floors is extremely easy. Pryzm floors can be installed in large spaces without the need for transition strips. This remarkable innovation has a cork underlayment to help create a smooth attachment between the boards. This attachment creates clean lines and captivates the modern and authentic look of hardwood floors. Don’t take just our word for it! Pryzm won the 2017 Platinum Award for Design Excellence. This flooring is truly ground-breaking and one of a kind. Are you interested in purchasing Pryzm floors for your home? 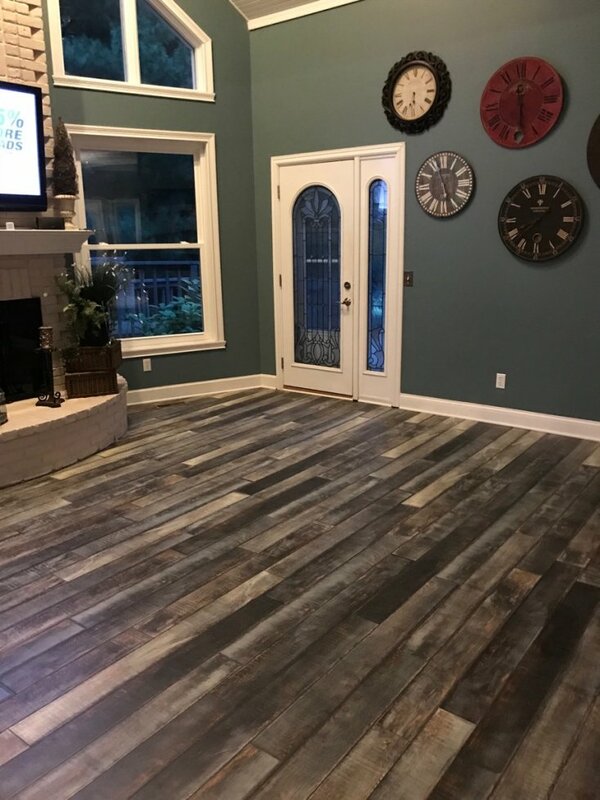 We would love to help you create your dream home today with beautiful flooring. Give us a call or visit one of our locations for more information and pricing.